This is one of the broadest areas of alternative investment choice. 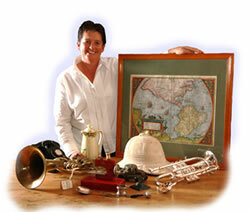 Antiques and collectables like art need to fit with your lifestyle and home to be most successful for you personally. "If you have purchased a piece purely for its financial possibilities, as an investment it will not fit with your wealth and wellbeing balance". An important thing to consider before entering the antiques and collectables arena, is what your focus is going to be. This particular collecting segment has an endless amount of purchase possibilities. If you immediately run out and start buying without a plan, you will very likely be wasting your time. One of the danger areas of both antiques and collectables is distinguishing the line between accumulator and collector. This line is easily crossed if you do not apply a clear focus to your investing. A single speciality focus is very common for collectors, especially investment collectors. This method involves identifying a particular product and purchasing variations of that product. Examples of this might be every type of Royal Doulton tea pot. Buying a wide range of random items, will prevent you from specialising. By focussing on one or two particular types of antiques you can become adept at finding good value buys, spotting growing trends and identifying fakes or poor quality items. There are thousands of options available to you, but for the sake of illustration, we will focus on Toby Jugs and Character Jugs. These will provide you with an excellent example of why research and learning are so important. Toby Jugs are a full length figure, usually male, but now always. The figure is usually dressed in clothing associated with the mid 18th to 19th century, with a tricorn hat, knee length breeches and long frock coat. These figures will more likely be holding a drinking vessel, pipe or snuff box of some kind. It is a matter of debate but the general consensus is that Toby Jugs were first made around the 17th century. Many of the finest examples of Toby Jugs were created in Staffordshire, England, by such potters as Walton and Whieldon. Some of the best examples are thought to have been created around the mid 18th century to 19th century. After that period, the jugs became more readily available through mass production. Nevertheless, some fine examples exist even from the mass production period. Investing time in researching your field allows you to find different investment angles on your speciality product. In relation to Toby Jugs, through research you would discover that contrary to what you would expect, many of the mass produced Toby Jugs are very valuable. This is because many of the potteries in Staffordshire collapsed or went into decline, thus making what was a massed produced item, relatively scarce. Character Jugs, on the other hand, are only the head or head and shoulder of a character. Their form is more of a mug shape and usually will have a handle in keeping with the character. Shakespeare character mugs often have a quill handle. Some of the finest examples came from Royal Doulton and are highly collectable. As you can see, the novice collector could easily be confused between the two types. The bonus to this way of collecting is that you can enjoy your investments every day whilst they increase in value. However, be aware that if you have young children or unruly animals, your investments are at a greater risk of damage. The internet has proliferated the collecting of antiques and collectables over the last decade. As a novice collector you should first browse the shops, fairs, garage and car boot sales. This way you are able to handle and view a whole range of items. You can also pick up valuable tips from dealers, shopkeepers and other collectors. You should continue to visit these types of locations even once you have progressed to the internet. Keeping your knowledge up to date is vital to stay abreast of the current trends and prices in your chosen speciality. There are many resources available including some very popular television shows including: Antiques Roadshow, Bargain hunt and Cash in the Attic. Beware of fakes and reproductions. These are increasingly common since trading of antiques and collectables has become a global phenomenon. Online auction sites are excellent tools, but it is necessary to have a very good knowledge of your field before purchasing. You are buying from a picture without handling the goods or knowing the seller, therefore buyer -beware. A good tip for avoiding these fakes is to stay away from the latest fads, as more fakes and reproductions will be created to meet demand. Remember too good to be true ,often it is just that!